Contact juggling is object manipulation at its finest. 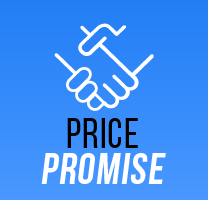 An easy art to pick up but a difficult art to master. The idea is that the ball doesn't leave the body at any given point, this creates a stunning optical illusion that needs to be seen to be believed! Contact juggling has been around for a very long time but gained popularity in the early 1980s. 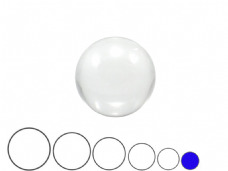 Michael Moschen is widely credited with conceiving most modern moves and popularising the use of the clear acrylic ball. 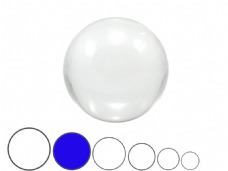 Our acrylic balls are available in a range of sizes (60mm, 70mm, 75mm, 80mm, 85mm, 90mm and 100mm) and are manufcatured to create a perfectly transparent looking prop. 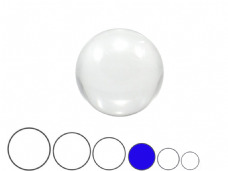 You can rest assured that you'll never receive a contact ball from Jac Products with any blemishes or scratches. 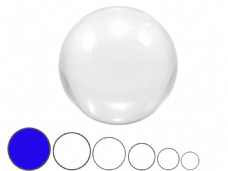 We also stock a range of colours and styles including UV acrylics & Sil-X implosion balls. 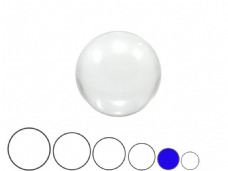 The contact ball has recently seen a resurgence being marketed as the Fushgi Magic Gravity Defying Ball, these don't tend to be as strong as acrylic balls however. 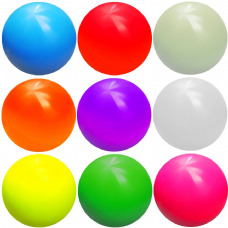 Ideal as magic props we also stock a range of coloured acrylic balls and practice stage balls (which are perfect for getting to grips with a more difficult routine). 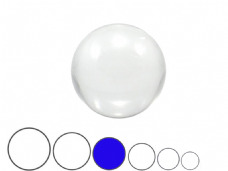 We also stock a range of books and DVDs to teach the art of contact ball juggling and recommend checking out the In Isolation DVD to learn new tricks but also to see some of the most impressive crystal ball manipulation ever recorded!